The Pittsburgh Penguins acquired centre Derick Brassard in a three-team trade with the Ottawa Senators and Vegas Golden Knights on Friday. The Ottawa Senators have acquired goaltending prospect Filip Gustavsson, defenceman Ian Cole, a 2018 first-round draft pick and a 2019 third-rounder from the Pittsburgh Penguins in a three-team deal also involving the Vegas Golden Knights. 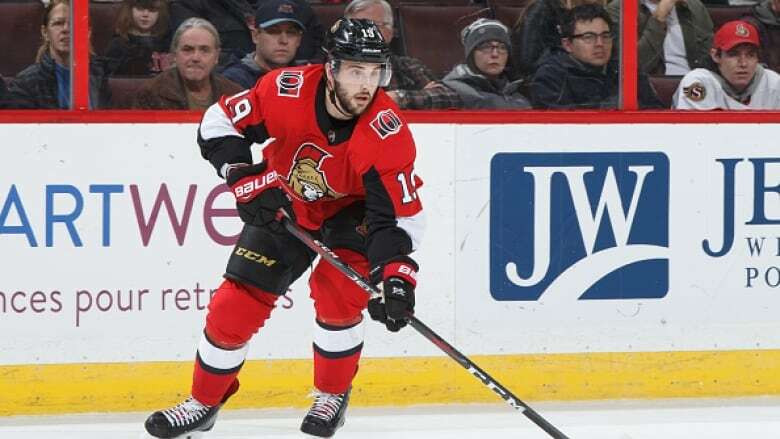 Ottawa is sending forward Derick Brassard, forward Vincent Dunn and Ottawa's third-round selection in the 2018 draft back to the Penguins. FYI source confirms that the reason the original Pitt-Vegas-Ottawa three-way trade got rejected by the league earlier today was for "improper use of salary retention mechanism"
The Senators announced the deal on Friday night. Pittsburgh also received prospect forward Tobias Lindberg from the Golden Knights in exchange for forward Ryan Reaves and a 2018 fourth-round draft pick originally acquired from Vancouver. According to a Penguins release, Vegas is retaining 40 per cent of Brassard's salary this season. The 19-year-old Gustavsson was picked 55th overall in the 2016 draft by Pittsburgh. Gustavsson, a six-foot-two, 184-pound native of Skelleftea, Sweden, currently plays for Lulea in the Swedish Hockey League, where he has posted an 8-9-0 record with a 2.16 goals-against-average and .917 save percentage in 18 games. He was Sweden's starting goaltender at the 2018 world junior championship and was named the tournament's top goaltender after posting a 1.81 GAA and .924 save percentage in six games. Cole, 29, has recorded three goals and 13 points with 52 penalty minutes in 47 games with the Penguins this season. The six-foot-one, 219-pound native of Ann Arbor, Mich. has registered 18 goals and 90 points in 385 career games with the St. Louis Blues and Penguins. NHL trade deadline: sellers open for business, but will buyers pony up?